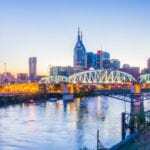 NASHVILLE, TN — Court rulings in three other states have struck down a requirement that voters show government identification cards with photos before they may cast their ballot. 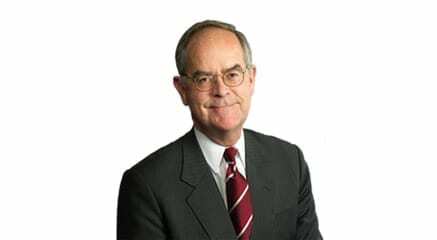 Tennessee has a similar law and it, too, should be struck down, according to U.S. Rep. Jim Cooper of Nashville and at least eight other Tennessee Democrats spoke out Tuesday morning saying their state’s law as unfair. However, with early voting over for Thursday’s state primary and local county general elections, Cooper and his friends are reminding voters they must show their driver’s license or similar government ID before they can vote. “Tennessee’s law, passed in 2011, is one of the most restrictive in the country,” Cooper’s campaign office reports. “A 2014 Government Accounting Office report found a 2-3 percent reduction in voter turnout – nearly 88,000 voters — attributable to changes in Tennessee’s voter ID requirements,” Cooper’s campaign said. He and the other leaders want to make sure Tennesseans know the voter ID requirements in advance of the Aug. 4 primary. Speaking out Tuesday against Tennessee’s law and reminding voters to take their photo ID with them to the polls were Cooper, state Sen. Thelma Harper, state Sen. Jeff Yarbro, state Rep. Sherry Jones, state Rep. Bill Beck, state Rep. Brenda Gilmore, state Rep. Howard Love, state Rep. Mike Stewart, Tennessee Democratic Party Chair Mary Mancini, and a variety of other Democrats. They gathered at the Howard Office Building, 700 2nd Ave. South, where they spoke about Tennessee’s voter ID laws in light of the recent rulings against similar laws in North Carolina, Wisconsin and Texas. The Voting Rights Act became law Aug. 6, 1965. A U.S. appeals court struck down a Texas voter ID law recently, finding it discriminatory and a violation of the civil rights law. While Texas Gov. Greg Abbott plans to fight the federal appeals court ruling, claiming he found 50 cases of voter ID fraud in Texas during the past 14 years, election experts say that’s exceedingly rare, the Public Broadcasting System reports. U.S. Rep. John Lewis of Atlanta has been campaigning for restoration of the Voting Rights Act.